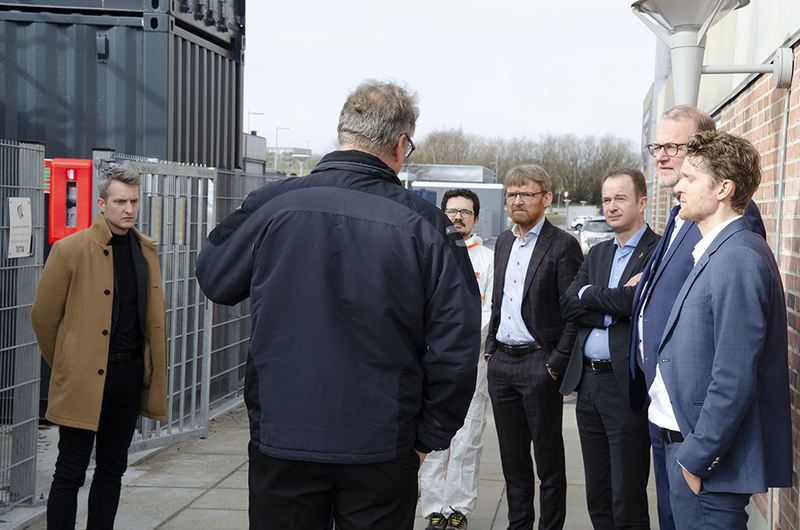 Last Friday March 22nd 2019, the Danish Minister of Energy, Utilities and Climate, Mr Lars Christian Lilleholt, visited the Advanced Biofuels facilities at Aalborg University. Mr Lilleholt is Minister for Energy, Utilities and Climate since June 28th 2015. Beyond its political career both at the Danish Parliament and as political member, Mr Lilleholt can count on a professional background as journalist and public relations responsible in the energy sector. 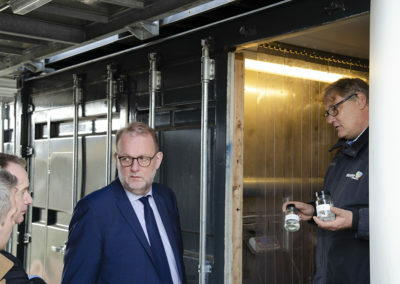 Following the payoff “Through professionalism, transparency and credibility we secure a clear path towards an efficient and effective energy supply system for Denmark” of the Ministry he is leading, Mr Lilleholt met the team of Advanced Biofuels research programme, under the Department of Energy Technology, Aalborg University. He got in touch with the academic community to exchange visions and expectations on how the university is contributing to the clean energy transition underway. 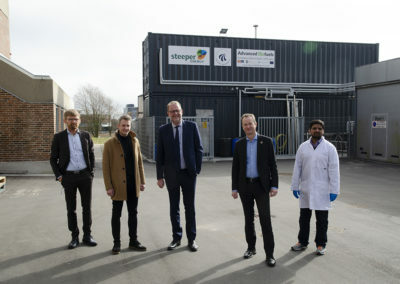 Thomas Helmer Pedersen, associate professor and deputy head of the Advanced Biofuels research program and Steen B. Iversen, Chief Technical Officer (CTO) and co-founder of Steeper Energy (both members of NextGenRoadFuels consortium), accompanied the minister for a walk around the Advanced Biofuels facilities. 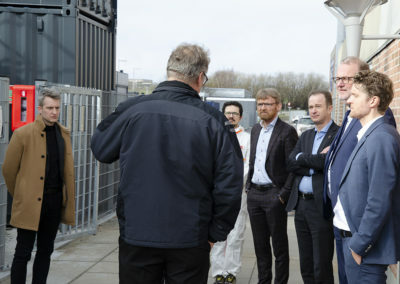 This included a brief speech near the Continuous Bench Scale 1 (CBS1) Hydrothermal Liquefaction (HTL) plant, which is co-operated with Steeper Energy at the Aalborg University Campus. The tour continued along the operative rooms, offering the chance to get insights on how the plant works. 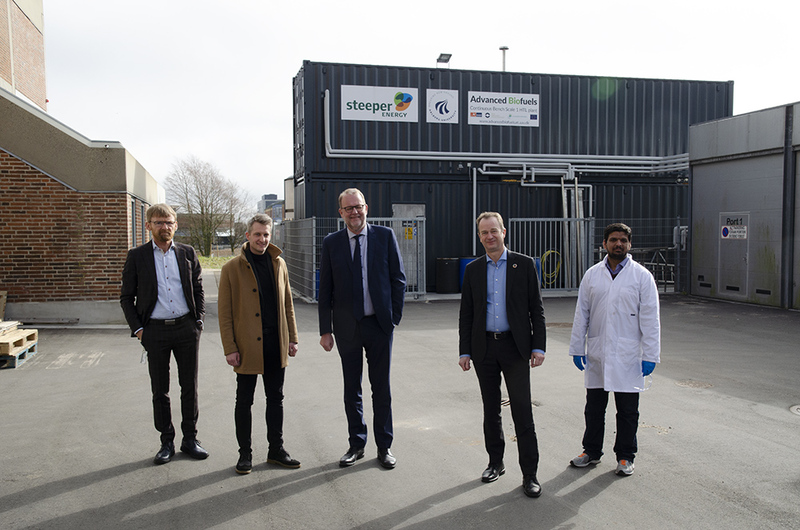 While talking about the plant, Steen B. Iversen showed a sample of sustainable fuel derived from biomass. 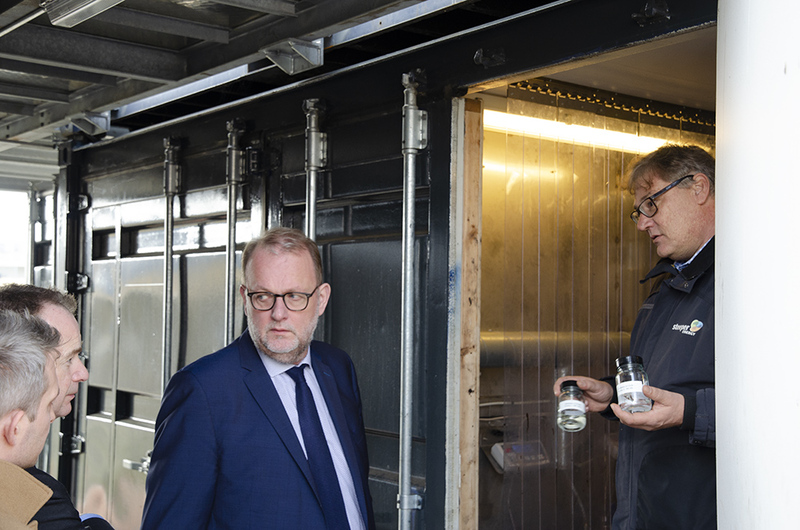 Both Thomas Helmer Pedersen and Steen B. Iversen highlighted to the Minister the superior properties of HTL process in terms of feedstock flexibility and product quality, which is at the center of NextGenRoadFuels methodology and novelty. Among the takeaways from the visit was the relevance of keeping working along the advanced biofuels pathway, for a green transition towards a sustainable transport sector.